HIFF and Guild Hall are pleased to continue the hit screening series NOW SHOWING this January! On select Saturday nights, the series, curated by HIFF, feature acclaimed first-run art house, independent, and world cinema in Guild Hall’s John Drew Theater. 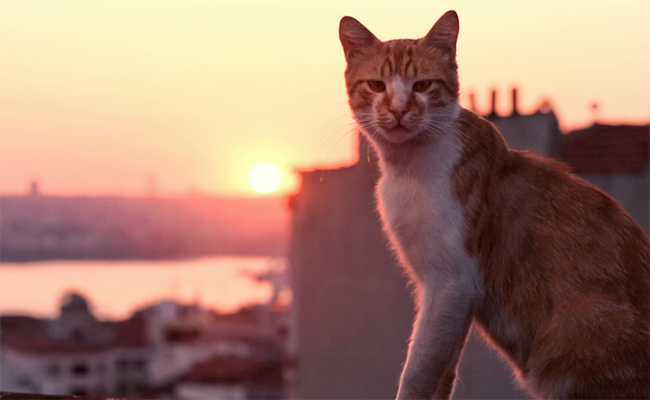 NOW SHOWING, presented by Hamptons International Film Festival and Guild Hall continues on Saturday, January 6, at 6pm with KEDI, directed by Ceyda Torun, about the cat community of Istanbul and the influence they have on the lives of the city’s citizens. On Saturday, January 20, at 6pm, the series presents THE FINAL YEAR, directed by Greg Barker, which presents an intimate look at the foreign policy team of President Barack Obama during his final year in office. On Saturday, January 27, at 6pm, the series will screen THE DIVINE ORDER, directed by Petra Volpe, about the efforts of a suffragette movement in a small and quiet Swiss village in 1971, starring Marie Leuenberger. 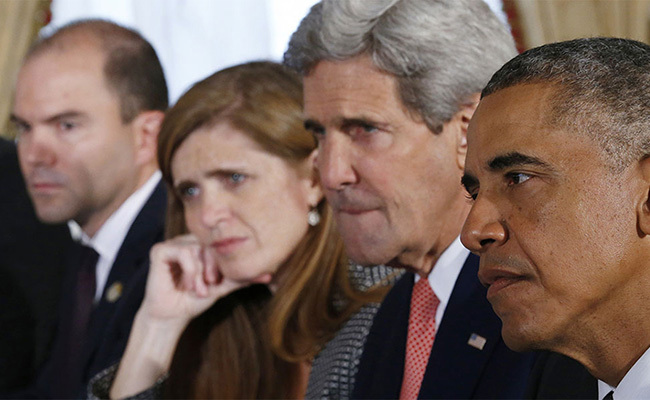 During 2016, filmmaker Greg Barker gained access to key members of outgoing US President Barack Obama’s administration — Secretary of State John Kerry, Ambassador to the United Nations Samantha Power, confidant and speech writer Ben Rhodes, and others — for an unprecedented look at the shaping of US foreign policy. While TV shows from The West Wing to Madam Secretary have invented dramas from this milieu, never has a documentary captured the real players so much in the moment. The globe-spanning journey involves stops on multiple continents. Rhodes, who’s described as sharing a “mind meld” with Obama, joins the President on historic visits to Ho Chi Minh City, Hiroshima, and Havana. Power seeks to put ordinary people at the heart of foreign policy in Nigeria and Cameroon. Kerry negotiates at the UN for a Syrian ceasefire and bears witness to global warming in Greenland. Every move they make stirs reactions from media, Congress, and the public. While history books will be better equipped to explore political complexities, THE FINAL YEAR excels at showing us the humanity of these policy makers in times of breakthrough, setback, and tragedy. This perspective would be remarkable in any year. But 2016 stands out since US foreign policy changed dramatically under a new administration. The contrast is clear in every minute of the film. 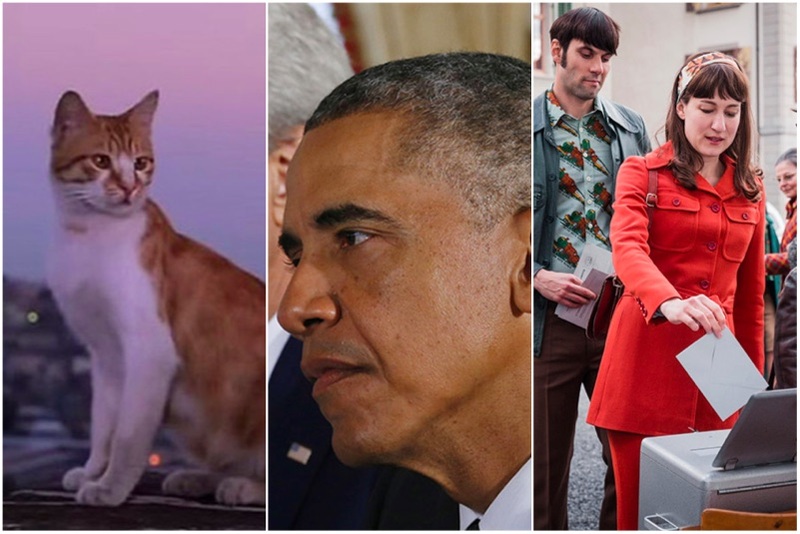 As we gain distance from the Obama years, THE FINAL YEAR will serve as a vital document. 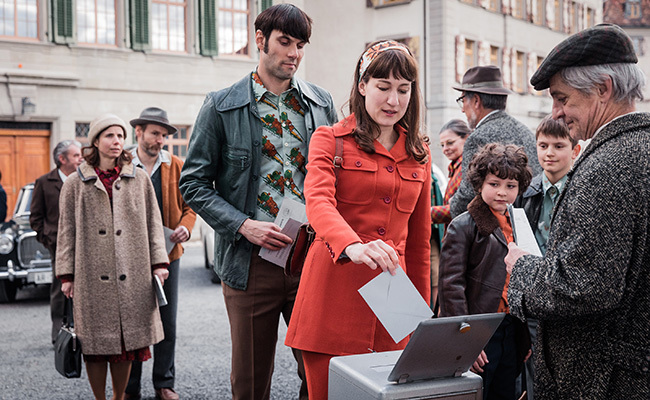 In 1971, a quaint Swiss village, seemingly untouched by the cultural and social upheavals of the 1960s, anticipates the vote for women’s suffrage. Following her exposure to a women’s rights demonstration in Zurich, a shy and well-liked housewife becomes the unexpected beacon of her village’s suffragette movement. Featuring a strong ensemble cast, led by the effortless Marie Leuenberger, THE DIVINE ORDER chronicles the challenges of a determined group of women who cast off the stubborn ways of the village and fight for independence. Directing with a keen eye for sincerity and humor, Petra Volpe captures the inspiring journey of harnessing your voice to both speak truth to power and tell your husband he can do his own laundry. Tickets for screenings are $15 for general admission and $12 for HIFF and Guild Hall members. HIFF members: purchase tickets online from Guild Hall and select ‘member price’ to receive your discount (your name will be checked against our member roster). Enjoy!